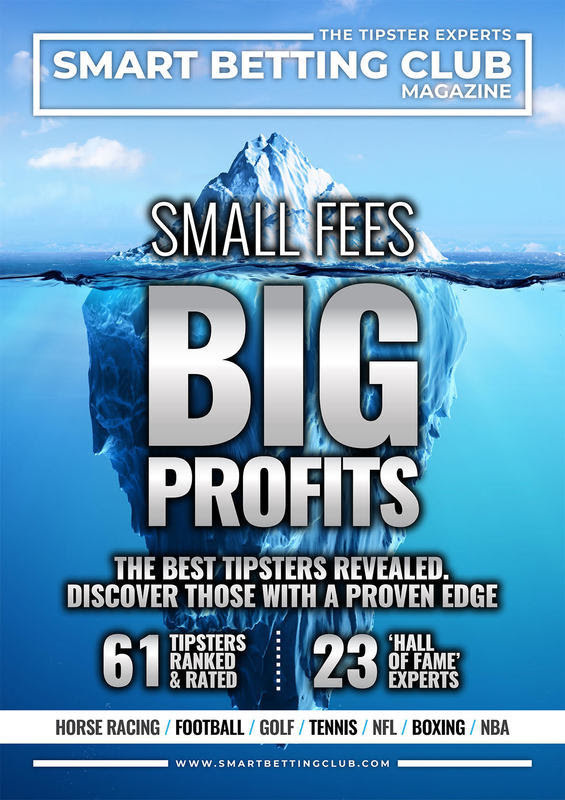 If you missed the release of our latest ‘Tipster Profit Report earlier this week and its focus on tipster services making big profits, yet charging small fees, I wanted to outline a few examples of this in action. By small fees – I mean those tipsters charging less than £30 per month (sometimes a lot less) and by big profits – I mean those making substantial returns over and above the cost of joining them. All of our Tipster Tables quote profits after fees to make sure you get a realistic picture of what you can make. Cost: Just £15 per month. This simple to follow Boxing expert has a superb record since 2015 including a fantastic past 12 months, where he has made 153 points profit @ 21.70% ROI. All for just £15 per month. Following him at even as little as £10 a point would have made you a £1530 profit since October 2017. A classic example of a small fee, big profit tipster in action. This long-running football tipster has a tremendous record advising bets on English, Scottish and International football (he has been tipping since 2006) and last season made 66 points profit @ 16.3% ROI. He costs a little more at £275 per season, although that works out at just £22.92 per month. It is actually priced at £375 but as an SBC member you can save £100 on the price as part of our Tipster Savings.I would recommend you follow him at least £25 a bet, which would have made you a £1650 profit before costs last season. Already this season he is up another 16.4 points, which at £25 a bet is a profit of £410 before fees. An easy one-bet-a-day racing tipster with a phenomenal record lately, including 110.75 points profit at 33.97% ROI over the last 12 months alone (again this is a tipster with a winning record dating back to 20090. Costing just £17.06 per month if you sign-up for 12 months, following him at even a simple £10 each bet will have made £1107.50 before fees during this period. As an SBC member you can also claim your first month for free with this tipster as part of our Tipster Savings. The 4th and final tipster is a National Hunt expert charging just £200 per jumps season (November to April) and so whilst just a tad over £30 per month on average, is included due to the outstanding record enjoyed. Since inception in 2014, over 1191 NH bets, he has made a profit of 219 points at 36.3% ROI. Last season that rose to 77.8 points profit at 40.8% ROI and at even simple £25 stakes per bet, that is a profit of £1,945 before fees. Inside the Latest Tipster Profit Report, you can read the latest results and comparative league tables for 61 different tipsters, including the 23 experts holding a prestigious ‘Hall of Fame’ rating. One of the biggest obstacles facing punters these days is the simple act of finding a regular place to get your bets on – specifically those firms that won’t penalise you for placing winning or ‘shrewd’ bets on a regular basis. Which is why at SBC we have been looking at alternative options and a variety of up-and-coming bookmakers, betting exchanges & bet brokers who not only offer good odds, but actually accept bets from winning gamblers . One such firm fitting this mould is MustardBet – who were 1 of the 6 firms we investigated in our recently published Betting Exchange, Bookmaker & Bet Broker Guide. MustardBet are a fully regulated UK based firm who are using their own proprietary statistical models to offer competitive odds to all punters, including winners, on a variety of sports and markets. Keen to carve out their own path and provide something unique, their in-built system works to low margins and updates odds extremely quickly, allowing shrewd and sharp punters like many SBC members to access a fully transparent betting system. To help discover more on their service, MustardBet were good enough to answer some of my questions as part of an exclusive interview first published in the guide – an extract from which I have copied into today’s post. More on MustardBet and 5 other ‘winners welcome’ firms can be found in the aforementioned guide, available only to Smart Betting Club members. Join the club today. SBC: For those unfamiliar, can you outline a little bit about MustardBet, your origin and what you offer customers? MustardBet: A cursory look at MustardBet reveals how different it is. It is a bookmaker built by punters for punters. It looks like no other, because we have built the platform ourselves, rather than opt for a white label. It has a greater granularity of pricing and smaller house margins. It always shows the stake available at a price, because it treats all customers equally and nobody is stake-factored. It only shows the markets which we know punters bet on, and deliberately does not force punters to wade through reams of markets which they never play. Essentially, our proposition is to offer super competitive prices and a no-nonsense betting experience that’s built around speed of bet placement, tighter margins and an innovative UI. What type of punter is MustardBet aimed at? MustardBet is aimed at all customers, naturally. But we suspect that frequent players will appreciate the unique features of our platform most e.g. lower margins, instant re-betting of max amounts and transparency around market turnover. What is your approach is to odds compilation and accepting bets from customers? We seek to automate as much as we can. Odds compilation is done by proprietary statistical models and our automated market maker, which responds to customer activity. We do indeed welcome winners – their action assists us in offering what we think is an optimal price to all customers at all times. What are the main sports you offer markets on and those which see the most volume? All sports will be offered, and we are working our way down from the most popular to the more niche. Football, tennis, baseball and golf are widely featured. Basketball, American football, rugby league, rugby union, and darts are nearly there and we are constantly looking to expand the offering. Focusing on football – what leagues and competitions do you cover here? The customer will find matches from most European leagues and cups, as well as major international competitions for club and country. A global coverage is imminent. How do your football odds compare with those from the big Asian firms in the main markets such as 1X2, Over/Under and Asian Handicaps? Our odds will always be different as they respond to the unique client base which we have. In terms of margin, we have set out to work to similar over-rounds to the best Asian facing firms, but our prices will only be similar by accident, rather than design. How quickly do the odds or lines move in the football markets? This is something we pride ourselves on. We’ve built the technology in such a way that our prices react incredibly quickly to game events and to every bet placed on that event by all customers across the sportsbook. It’s this speed, and transparency, that will help our customers react quicker. Do you offer in-play betting on football? We do offer in-play betting on football, and, of course, it is in-play betting with a major difference. Unlike other sportsbooks who impose betting delays within their in-play products, MustardBet does not. Our ‘Dangerball’ feature means that as long as there is not an increased likelihood of an imminent goal or game changing event (e.g. red card), bets are struck without any delay at all. As a customer experience, it is dramatically better than what prevails today. Aside from football and golf, which other sports and markets are popular? With a summer of grand slams almost over, we’ve seen good uptake on our tennis markets. Darts and baseball are not far behind, and we have high hopes for basketball and American football. Do you have any plans to expand into other sports in the future and if so, which ones? We feel we have expertise in American sports such as MLS, MLB, NBA and NFL so we’ll be adding this to the site more regularly. Alongside Football Tennis and Golf – darts, cricket, rugby league and rugby union are all regulars on the site and it’s our intention to keep adding to this list. How does the MustardBet website work on mobile/tablet and is there an app available? We have an Android and iOS app in the app stores, which both feature our innovative rotating betslip. Like our desktop product, we’re committed to continuous development of the mobile offering. Are you on or do you plan to be featured on any major odds comparison websites such as Oddschecker or Oddsportal? Yes we are in talks with some of the major odds comparisons portals. This is a key part of our marketing strategy, as we believe our prices will stand out in these settings. For each of the bets you place, there is a max staking limit on offer. Why is this in place and what happens if the maximum stake for a bet is taken up. Do you then offer lower odds? We don’t see this as a max bet limit per se, as customers can use this facility to go in again and again. It’s a common frustration for customers not knowing how much they can bet at a particular moment in time. So, making that amount visible on the MustardBet site removes that uncertainty. How can customers deposit or withdrawal funds and are there any fees/restrictions on the latter? Deposits can currently be made via Visa and Maestro debit cards and are not subject to any fees. We do also have direct bank transfers available on request. We obviously recognise that we need to add more payment options and rest assured we are working with various providers to implement further options. Who are you regulated by and what assurances can you provide customers that money deposited with you is safe and secure? MustardBet maintains two betting licences, one with the Gambling Commission in the UK, and one with the GSC on the Isle of Man. It is a fundamental condition of these licences that customer funds are maintained securely within a separate client funds account that can in no way be used for the day to day operating of the business. So there you have it – revealing insight into just 1 of the 6 firms as recommended in SBC’s Exchange, Bookmaker & Bet Broker Guide and the difference they can make to your profits. If you are keen on learning more about MustardBet and the 5 other firms included within this guide, make sure you grab a copy of this guide right away. All 6 firms also welcome winners as they make their profit either based on betting turnover or the commission they charge you on each bet. So, whether you win (or lose) they will never ban you from their service – unlike so many of the ‘major firms’. Offering solutions for punters on all sports including but not limited to Horse Racing, Football, Golf, Tennis and all major US Sports like NBA or NFL, this guide will help show you the best firms to bet with to make long-term sustainable profits . As soon as you join the Smart Betting Club, you can download your very own copy of the guide and start placing your bets where the professionals do.